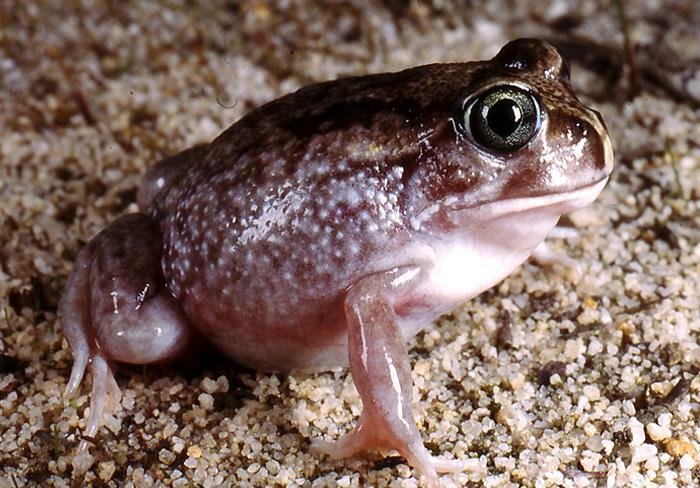 This ground-dwelling species reaches lengths up to 6.5 cm and has a powerful and robust build with short limbs. The back is dark brown or grey, mottled in dirty white or light grey. The flanks behind the front limbs are often a distinctive yellow. Males have larger arms but otherwise show no distinguishing sexual features. 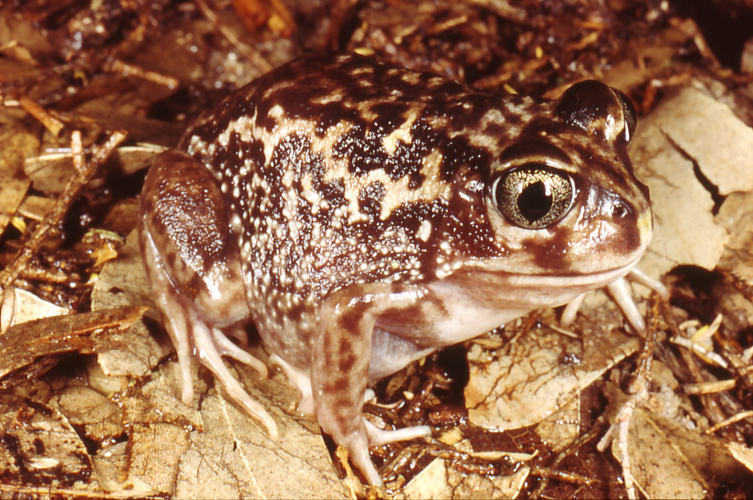 In particular, male moaning frogs lack the nuptial spines found in males of the other Heleioporus species. Prior to start of winter, males excavate burrows in lowlying areas which are likely to become inundated by winter rains. Males usually only call for a month or so after the first heavy rains in autumn. Females enter the burrows and deposit their egg mass in a chamber at the bottom of the burrow in damp soil. The egg masses are white and foamy. As many as 300 eggs may be laid in each mass. Rising pond or stream levels eventually flood the burrows allowing the partially developed tadpoles to wiggle free of the egg mass and swim out of the burrow. 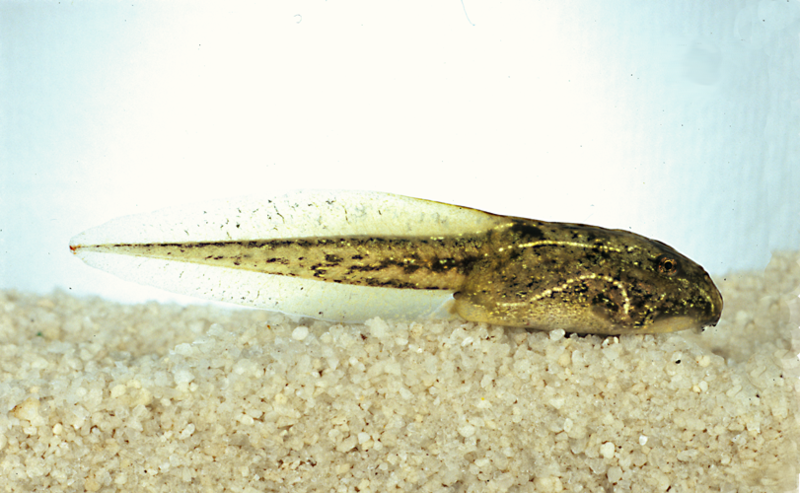 Moaning Frog tadpoles grow to 5 cm. The tail is only 1.5 X the body length. The body is dark brown with a series of thin, light coloured lines on either side of the head and body. Tadpoles eventually swim in to larger water bodies where they can be located on the bottom close to aquatic vegetation which they use for cover when disturbed. Development time takes 2-3 months. During the breeding season, Moaning Frogs are found in swampy areas, along flowing water courses and wetlands where the soil is sandy. At other times of the year they appear to move away from these sites to forage in the surrounding bushland. Named after John Eyre, the first white person to walk across the Nullarbor Plain in 1841. Moaning Frogs probably bury themselves in moist sand and aestivate (become dormant) over the hottest summer months. 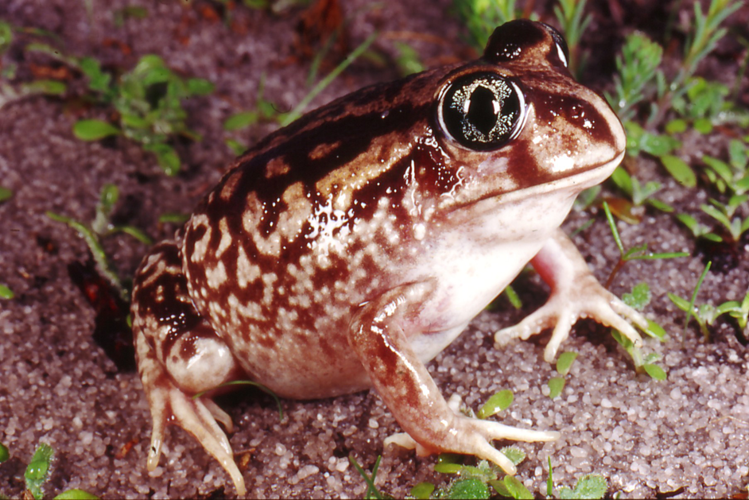 Moaning Frogs are common in and around Perth and are frequently heard calling in gardens adjacent to wetlands, sometimes to the dismay of the residents. To convince a male 'Moaner' to move on if the call is disturbing a good night's sleep, locate the burrow from the sound and a torch at night. Flood the burrow gently with a bucket or hose each night until the male has moved on. 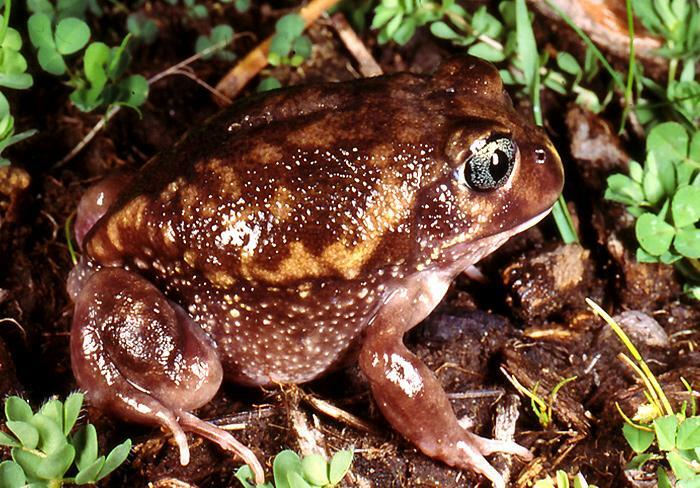 Moaning Frogs are predominantly coastal, extending to the Irwin River in the north and south-east to West Mt. Barren. 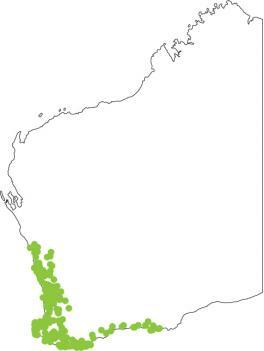 They are patchily distributed through the western margin of the Darling Ranges. Also on Rottnest Island where large choruses can occur in the remaining swamps. A long, drawn out, mournful moan. Males usually call from within the breeding burrow.